If you require further information or support please use the live chat facility below or call 0333 600 9090 - Mon - Fri 8:30 - 5pm. Here at Roof Windows 4 You, we have a great choice of energy-efficient roof windows, including triple and quadruple glazed options. These models are specially manufactured to provide the most energy-efficient solution for your loft conversion or home extension project. Our FAKRO energy-efficient roof windows are designed with widened sashes, ensuring that the structure minimises thermal bridging for much improved insulation. These windows are constructed using high-grade glazing and solid FSC-certified pines. They offer an exact fit and premium glazing seal to ensure heat loss is severely reduced, too. We also stock quality flashings to ensure your installation is as secure as possible. Plus, our energy-efficient windows can provide exceptional noise isolation, keeping any unwanted sounds, such as constant traffic or heavy rain, at bay and ensuring your home remains nice and peaceful. 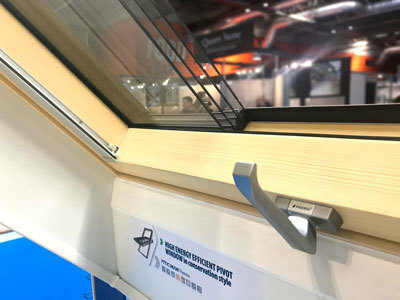 These energy-efficient rooflights feature a centre pivot opening mechanism, which allows the sash to pivot 180-degrees for easy cleaning and maintenance. And, they have a number of other great features like our secure topSafe anti-burglary system and easy-to-use handle for operation. They're also compatible with many of our roof window blinds and accessories, making sure you're able to get the most out of your units. Got any questions about these energy-efficient roof windows? You can call the team on 0333 600 9090 or get in touch and we'll be happy to help. Browse the range and order yours now. The FTT has an easy cleaning benefit when the sash is rotated through 180 degrees making it a perfect choice for your home. This is suitable for roof pitches between 15 to 70 degrees.